Dr. Maryrose Caulfield here. I can viscerally remember, like it was yesterday, learning how to drive a stick shift with my father. It was so complicated trying to manipulate the shift, the clutch, the brake, and remember all of the rules for driving. It took a long time to become really comfortable and proficient. Years later, it was impossible for me to “unlearn” driving a stick shift when I started driving an automatic. To this day, I drive using one foot for the gas and one foot for the brake. Don’t tell a police officer! Once something becomes hardwired in your brain, it is difficult to unlearn it. These types of grades/assessments are summative in nature and reflect the outcome of student work. To actually change the course of student understanding, however, assessment must provide feedback to the student throughout instruction. This feedback, in turn, allows the teacher to alter the academic process that ultimately affects student learning. Existing research yields promising conclusions regarding the impact of formative assessment on student academic achievement. 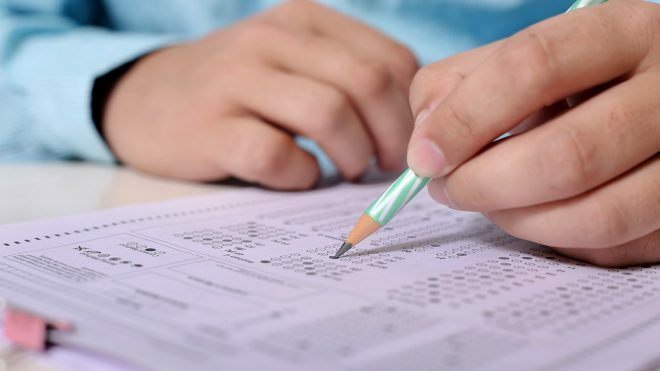 Though the focus of most research is not on summative test scores, findings indicate that students who receive formative assessment perform better on a variety of achievement indicators than their peers do. While many of these studies exhibit methodological limitations, experts agree that the practice of assessment for learning shows promise in its ability to improve student performance. The literature supports the efficacy of explicitly stated learning intentions and assessment criteria in improving student learning outcomes. Learning objectives are the subject of a significant body of research, though most research has been conducted at the higher education level. Findings indicate that learning intentions, specifically as a part of guided instruction methods, positively impact student learning. Similarly, studies demonstrate that statement of learning objectives and assessment criteria improve students’ self‐assessment abilities and, as a result, improve learning outcomes (Hanover Research | August 2014). Both key findings are extremely important. It bears repeating that effective formative assessment, which identifies student needs and informs instruction, is closely linked to student achievement. Identifying student misconceptions and remediating them before they are repeated over and over prevents topics from being incorrectly hardwired in the brain. When learning is viewed through this lens, it becomes clear there are no wrong answers. There are only misconceptions that, when corrected, allow students to experience success and move to higher levels of thinking, processing and application. This is precisely why it is so important to discover these misconceptions through the use of formative assessment before a student applies them over and over incorrectly. 4 – I can teach the information to someone else. 3 – I understand but am not ready to teach it to someone else. 2 – I need more assistance in understanding. 1 – I am lost and need help. Students assessed themselves throughout the lesson. This began with their assessment of how well they understood the learning objective. The process of student self-assessment immediately identified for the teacher how to individualize instruction to meet the needs of each student through differentiation. The responsibility for understanding the lesson was placed squarely in the hands of the student. An additional benefit of this process was educating students to advocate for themselves and their learning. Students clearly understood that this process was for them to assess their understanding and was not about a grade. Student achievement increased dramatically in the district using this system. Below you will find resources to assist you with this critically important topic. You will find descriptions and links to access them. When you empower students with the assessment process, the work becomes easier, achievement will increase, and you will feel wonderful about your instructional process. Take some time to research this topic and try a few different procedures. Real student understanding and mastery are worth the effort. All the best!